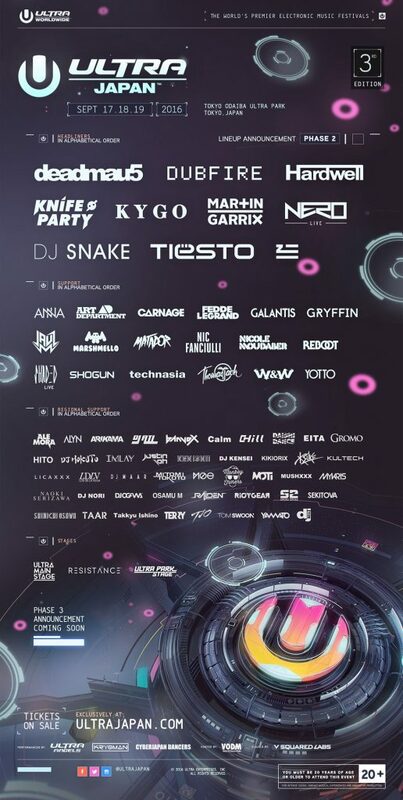 The Phase One lineup for Ultra Japan was announced back in May. For the third consecutive year, Ultra Japan will be entering the country as the country’s largest ever electronic music festival. After months of being under the radar, the festival reveals an impressive Phase Two roster for the September 17th to September 19th event. Tickets can be purchased here. Participants must be 20 years of age or older to attend. Below you can find a list of artists announced from both Phase 1 and Phase 2 for this upcoming year.